So, how do I find the right balance between avoiding trigger foods, some of which are fruits, and having enough fruit in my diet to get the nutrients my body needs? As previously discussed, fructose is a type of monosaccharide, and is generally difficult for the body to digest, especially in its fructans form. For this reason, many people believe that fructose is bad for the body, and can lead to weight gain and discomfort. Because most fruits commonly contain higher amounts of fructose, they are often avoided, particularly by those that are following a sugar-free diet. 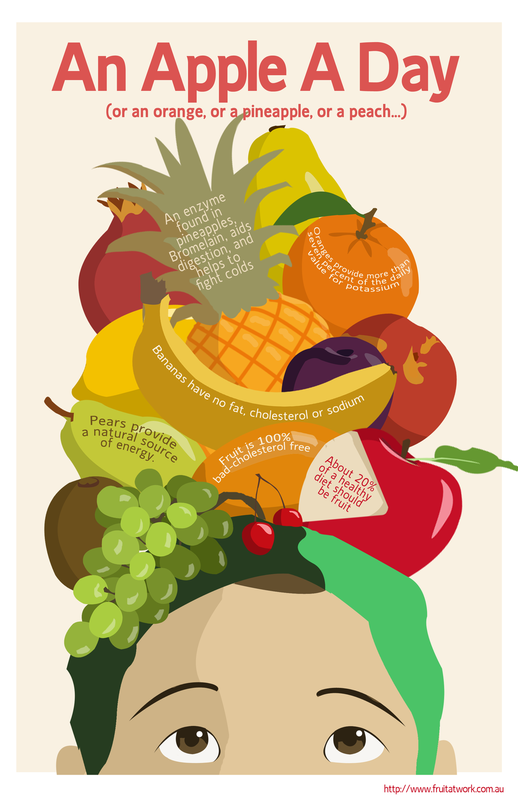 This is not entirely true, however – yes, fructose can be a problem, but avoiding fruit entirely is not the answer. In fact, this 2013 US study concluded that eating fruit does not cause weight gain, and because the fibre in fruit can help slow down the body’s digestive processes, the effect that the fructose has on the body is often decreased when eating fruit. Additionally, as discussed in this article, fruits and vegetables contain relatively low levels of fructose, and can usually be handled reasonably well by the body – that is, for those without FM. Instead, foods that contain high fructose corn syrup, which is often used as a sweetening agent, can be more problematic for the body. Also, as previously discussed in this post, there are many other types of food that also contain high amounts of fructose or fructans. Fruit is a good source of soluble fibre, and therefore helps lower cholesterol and relieve constipation. Some fruits contain vitamin C, which can help boost the immune system. “Blue fruits” such as blueberries, blackberries, and purple grapes contain anthocyanins, which have anti-oxidant properties, and can help prevent some cancers and aging. Fruit is naturally low in calories and fat, but are still filling, so they help to prevent weight gain. In general, fruit can help reduce the risk of heart disease and stroke. Some fruits contain high amounts of potassium, which can help lower blood pressure, and reduce the risk of kidney stones or bone loss. Many fruits also contain folic acid, which helps the body form red blood cells, and is particularly beneficial for reducing birth defects during pregnancy. The below infographic gives a good summary of some of these benefits, however for more information on the health benefits of specific fruits, please follow the links on this website. Growing up, I often loved eating fruit. My favourites were apples, pears, bananas, berries, watermelon, grapes, kiwi fruit, and mango. However, after my FM diagnosis, I found out that many of these contained high amounts of fructose, which meant that my choices were much more limited. I have now narrowed this list down to the fruits with lower amounts of fructose, which are bananas, berries, and kiwi fruit, and I have added mandarins as well. This way, I hope that I am still having a good mixture of nutrients – potassium from the bananas, anti-oxidants from berries such as strawberries (my top favourite fruit! ), vitamin C from the mandarins, and omega-3 fatty acids from kiwi fruit. The fruits are also all good sources of fibre and other vitamins. Most days I take one or two pieces of fruit to work to have with my lunch, and this seems to work well for my belly. After I first started doing this about 6 months ago, I have noticed a small difference in my energy levels and overall health. Additionally, I try to have extra little bits of fruit through eating fruit yoghurt in the mornings, and I occasionally have berry smoothies – but without apple juice or honey in them. Note: Some suggest that there are certain ways to eat fruit in order to get the most benefit from them. For example, this website recommends eating fruit on an empty stomach, and separate to other types of foods. However, this is a myth, and has not been scientifically proven. Do you have any suggestions for adding fruit to the diet for those with FM? Please share below.